So I'm God . . . Now What? 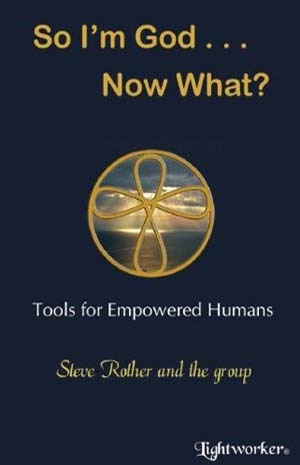 The fifth book from Steve Rother and the group contains channeled material to be read and used as a reference or as a daily inspirational guide. So I'm God . . . Now What? is a collection of carefully selected questions and answers that were asked directly to the group during live presentations worldwide. The topics cover a wide variety of subjects and are categorized to show life in many areas from the perspective of the group. This book holds a refreshing, honest, and at times, irreverent way of viewing life. Multiple points of perceptions offer more possibilities. All of humanity is experiencing a rapid evolutionary leap in consciousness as many of the old paradigms just don't work anymore. We are all left feeling frustrated like a round peg trying to fit in the same square hole we have always known. The ability to see from multiple perspectives can help us to make better choices and stay more in our own power. The group's information is aimed at helping us awaken into the Age of the Empowered Human.